Julie (or Jules) began her love of Pilates when her youngest son Max would attend preschool on Wednesday mornings & she would race to her Pilates class. That was almost 14 years ago now & she is still racing to that Wednesday Pilates class with some of the same friends who also come to Lively. 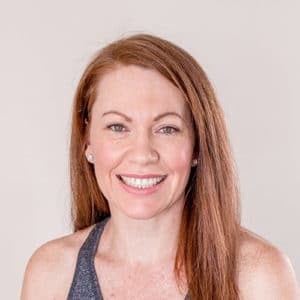 So what began as a personal love of Pilates quickly became a passion & a few years ago Julie decided to complete her Studio & Rehabilitation certification with Polestar Pilates Australia to spread the word around! Julie is also completing her mat training certification with Polestar Pilates Australia. What Julie loves about teaching Pilates is that it is a personal journey for everyone no matter what age or fitness you are & it becomes a progressive journey every week that you very quickly grow to love. Whether you have an injury or a personal goal to achieve, it’s never too late to begin your Pilates journey. As Joseph Pilates used to say “physical fitness is the first prerequisite to happiness” & “change happens through movement & movement heals”. Julie is married to Andy Bull who is a local Sports Podiatrist. She has 3 older children & a younger son Max who is completing his HSC this year. Julie loves her cavoodle puppies Rosie & Charlie, cooking, eating & being with friends & family. Julie teaches StudioPilates on Monday 6-9am and Wednesday 12-3pm.